In A Kind of Perseverance Margaret Avison shares with readers two lectures she gave at the University of Waterloo in 1993 -- ‘Misunderstanding is Damaging’ and ‘Understanding is Costly’. 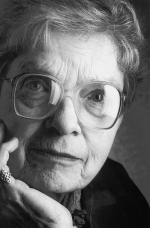 Thoughtfully and with precision she tells of her journey, often unfocussed, that led finally to the Christian conversion that is central to an understanding of her poetry. ‘I am here and not not-there,’ then, describes Margaret’s stance both as a poet and as a Christian. She would often say that the poetry takes precedence over the poet; similarly the person of Christ takes precedence over the person talking about Him. She hoped her words would communicate to the reader/listener without being distorted by a personal response to her as writer/speaker. In these lectures ‘Misunderstanding is Damaging’ and ‘Understanding is Costly’ Margaret’s context is specifically life as a Christian in a secular university. The tension between being ‘in the world’ yet ‘not of it’ meant she must listen to and live with compassion towards non-believers without compromising her own values, a duality which could easily lead to misunderstanding and hurt on both sides. Interestingly, some titles of Margaret’s poetry collections reflect her aim to hold the eternal and the temporal, the ‘I am here’ and the ‘not not-there’, in healthy tension throughout her years as a Christian: Not Yet but Still, Always Now, even No Time in its double meaning. She was continually working out her ‘own salvation with fear and trembling’ (Phil.2:12, NKJV). These lectures give us a rare glimpse into the process, which is the practice of ‘a kind of perseverance’. The Annual Pascal Lectures on Christianity and the University were inaugurated in 1978 by the University of Waterloo to commemorate the life of Blaise Pascal, the renowned Christian academic. This little book contains the two lectures delivered as the annual Pascal Lectures on Christianity and the University at the University of Waterloo, Ontario, Canada in February 1993. Blaise Pascal (1623-62), the seventeenth-century French academic and Christian, is remembered today as a forerunner of Newton in his establishment of the calculus, and as author of his Christian meditations, Les Pensées. Members of the University of Waterloo, wishing to establish a forum for the presentation of Christian issues in an academic environment, have chosen to commemorate the life of Pascal by this annual event. The Pascal Lectures bring to the University of Waterloo outstanding individuals of international repute who have distinguished themselves in both scholarly endeavour and Christian thought or life. These individuals discourse with the university community on some aspect of its own world, its theories, its research, its leadership role in our society, challenging the university to search for truth through personal faith and intellectual inquiry which focus on Jesus Christ. To give us your light. That same year, Margaret says, ‘it became centrally important to me to see that nothing, nothing at all, could be excluded from the total relevance of the person, Jesus.’ So in the autumn of 1963 she returned to graduate school at the University of Toronto. There, twenty-three years after having obtained her B.A., she began to write her M.A. thesis on Lord Byron, finding the conversational style of his poetry refreshing. (We see echoes of Byron’s style in her own poetry now). Yet she soon developed a growing malaise in moving between the church and the secular (especially the university) world. Much of these two lectures is an exploration of that malaise, leading to the conclusion that it may have begun by her ‘rushing too much’ in testing undigested truths, such as the truth that ‘anywhere with Jesus I can safely go,’ but was also caused by the counter-Christian assumptions and standards of the university, as well as by the temptations of her traffic with secular society. 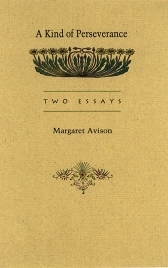 One instance she offered, in answer to a student’s question at the end of her first lecture, was when a close friend said to her one day in tears, ‘But Margaret, that is a lie!’ Seeing the cost of this confronting of her by her friend, Miss Avison said, she faced afresh the Truth, the Word, who confronts us to bless. One result of this kind of facing was that she left the university and began to work at the Queen Street at Portland inner city mission. Many of her poems are her records of her experiences -- her malaise -- there. The malaise never ends, she says: it is how we work out our salvation. Her comings and goings with the university community continued after she left graduate school at the University of Toronto. Earlier she had worked for the Canadian Institute of International Affairs, then in 1954 had attended the University of Indiana Summer School of Letters. In 1956-57 she took up a Guggenheim Fellowship at the University of Chicago Poetry Centre, and in 1972-73 was Writer-in-Residence at the University of Western Ontario. Meanwhile she had published a children’s history text, History of Ontario (1951), had translated Hungarian poetry for The Plough and the Pen, and published The Research Compendium, consisting of abstracts of theses at the at the Toronto School of Social Work. These professional associations with the university were accompanied by formal links through her local church, Knox Presbyterian in Toronto, which has many of the university community among its congregation. Always she wrote poetry. So Winter Sun (University of Toronto Press: 1960) was followed by The Dumbfounding (Norton: 1966), sunblue (Lancelot Press: 1978), Winter Sun/The Dumbfounding: Poems, 1940-1966 (McClelland & Stewart: 1982), No Time (Lancelot Press, 1989), and Selected Poems (Oxford: 1991). Some reviewers speak of Margaret Avison’s poetry in terms of its sensitivity: ‘subtle shadings of emotion,’ ‘deeply religious and vulnerable,’ ‘social concern and moral values fused by religious conviction’ are the terms of Michael Gnarowski. Others such as John Kertzer and Michael Higgins point to her use of nature imagery -- of sun, snow, winter, spring, rain as metaphors for her spirituality -- and think her as a pastoral poet. Still others speak of her poetry’s complexity, comparing her to Gerard Manley Hopkins and using such phrases as ‘intentionally cryptic’ or ‘very intellectual’ (Milton Wilson and William New). Many speak of her poetry’s importance to Canada -- ‘the most significant book of poetry in Canada since the modern movement got under way’ says A.J.M. Smith in 1966 of The Dumbfounding. The same sort of tribute is made in 1989 by the Governor General’s Award and yet again in 1985 by the Order of Canada Medal. -- Canadian Forum, XXIV June 1944, 67. She says that when Christian and counter-Christian face subject matter uncongenial to both, it is the Christian, knowing the inexhaustible Word as companion, who is more likely to develop receptivity. And she observes that in her search there was a long time in which she refused the spiritual food necessary to appease her hunger. 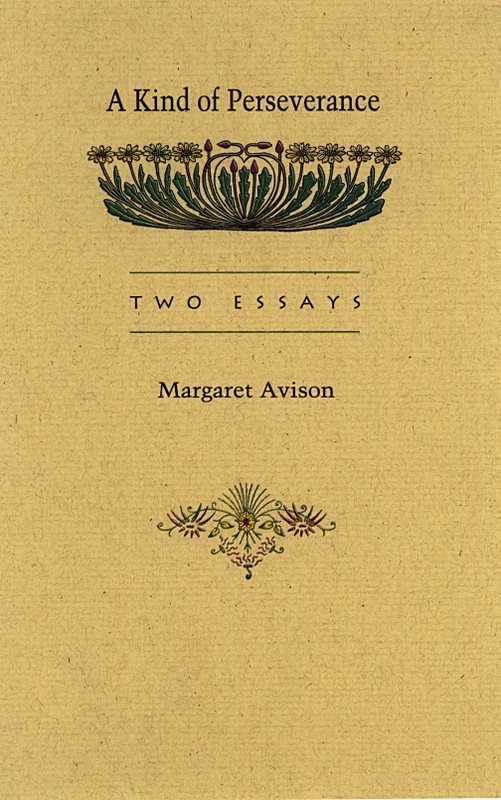 Throughout these two conversations with us Margaret Avison testifies of the Word by observations about the etymology of words: ‘understanding’; ‘misunderstanding’; ‘damaging’; ‘danger’; and especially ‘pain’, with which she is intimate. There is a stillness in the energy of her compassion which makes the good tears start, bringing healing to the sufferer with whom she communes. Our privilege has been more than her poetry, more than these poetic-prose talks. Our privilege has been her presence.